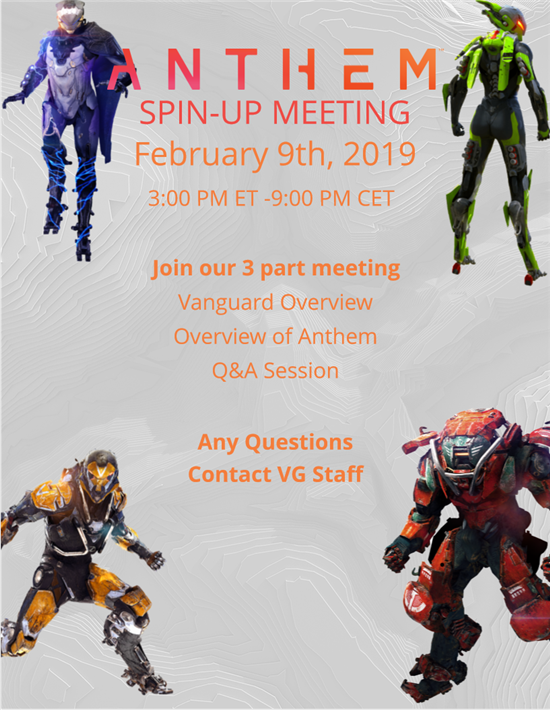 Anthem [AN] Spin Up Meeting is slated for Feb 9th, 2019, at 3:00 PM EST. We hope to see many of you there for the launch of this fantastic game. hmmm was wondering what the interest in anthem would be in TAW, any indication or info on how many are interested in playing anthem ? Considering the Division has already been spun up, interest has been high. Sadly, due to the nature of Horizon in VG, we can't accept internal transfers more than needed for staff positions. I have already been approached by many who are either looking to transfer, or help out, so I would say the interest is somewhat high. Hope I answered your question. See you around Freelancer!